In one of his first interviews since Daniel Ricciardo's shock switch to Renault for 2018 was announced, Cyril Abiteboul sits down with Crash.net to discuss how he pulled off the move, the pressure that comes with it, and the statement it makes to the rest of the grid. 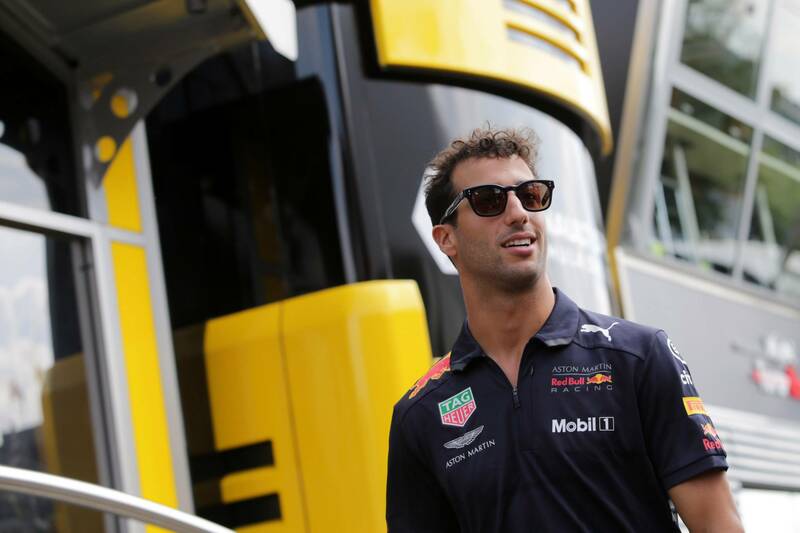 Cyril, I got confirmation of this interview before Hungary, so had the questions and themes planned well in advance - and then, boom, the Daniel Ricciardo news dropped! Just how did you pull this off? Cyril Abiteboul: There is nothing magic, there is nothing special. It’s basically been a long process, a process that frankly was not completely in our control, because clearly it was up to Daniel to make up his mind. He knew for a long time that we had an interest in him. He knew for a long time what was the interest from us, from a commercial perspective, but more importantly for our project and where we are standing in our operation, what we have to offer - and what we don’t have to offer yet, that is still in the making. We’ve not changed our philosophy. We’ve not changed our promise. We’ve not made a promise that we will not be able to honour next year or the year after. The deal was in his hands. Since the start, I knew that it would be a long process for him to decide what was best. I could always understand that it would be a difficult decision to decide to move from Red Bull to anywhere else, and from Red Bull to join us. I completely accepted that since day one. Therefore I assumed that it would take him a little bit of time to digest an important decision, so that’s pretty much it on our side. Obviously we had also to prepare. We had to have alternative options. But if you look at the three options that we had, I must say, doing more years with Carlos [Sainz Jr.], going with Esteban [Ocon], or Daniel, all three options were all very valid, and would almost have been equally satisfied with all three options. Obviously Daniel has a bit of ‘wow’ effect, because it was not really what people were expecting. But we are not choosing our drivers just to create a wow effect for one day. The wow effect will come if we are capable of winning races together in the next two years. When you finally got that call through from Daniel saying ‘yes, I’m joining,’ how did you feel? What was your reaction? CA: Let’s be honest, it was not a call from Daniel, it was a conversation with his manager. We had a number of discussions. It was extremely positive. It was a surprise, it was a relief. But at the same time, I could also feel the weight of what it meant for us, for the team, because I feel that we are obliged now to him. We had an obligation before to perform and continue the progression, but we have a further obligation not to hurt someone who is one of the most charismatic drivers in the paddock. I think everyone wants him to be in a position to be in a good car, a good team, fight for wins, fight for podiums first. Now we have that obligation, not in two or three years’ time, but we have that obligation now towards him. I could also feel the weight of that obligation on us. But I can accept that anyway. We are not here to make up the figures, we are here also to perform and do these type of results. You mentioned the project you’re building here at Renault. Do you think Daniel signing is the biggest statement of intent yet to the rest of the paddock that you mean business? CA: Yes, I think so. I think the statement is huge. I think there are a number of things that we are doing but we are doing in the back, in the back office, that people don’t perceive. I think there have been many more things that should be able to demonstrate that intent, but maybe that people are not capable of judging, when you’re talking about 200 or 300 people who have joined our team, it’s huge, just huge, but people don’t see that. When we’re talking about all the investment, extra buildings, new dyno, it’s huge. Changing all the dyno in Viry, it’s huge. But people don’t really see that. But a driver, people understand that. So I would say that it’s maybe not the biggest one, in terms of materiality, but I would say, going back to the wow effect, we’re in a world where you need to have symbols. I would say Daniel is a symbol of all the things that we have done previously. I think some parallels have been drawn between what Renault is doing now and what Mercedes did in the build-up to the 2014 regulation change. Do you see it that way? 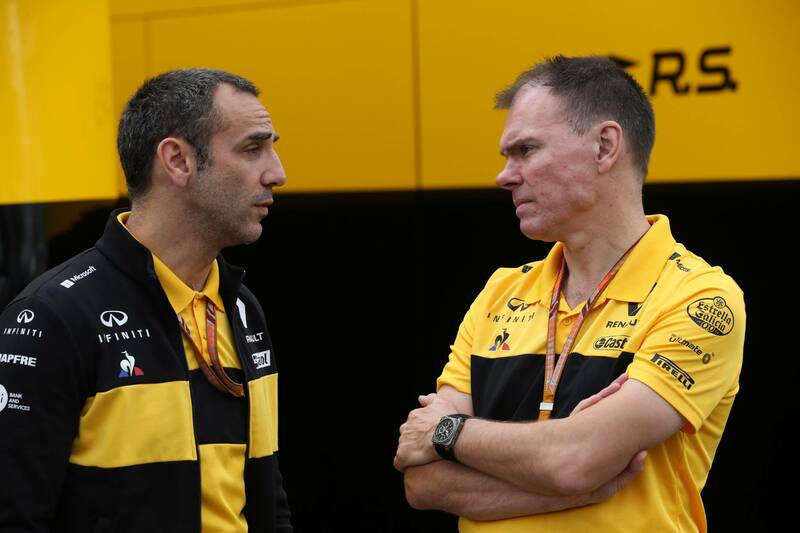 Do you see the 2021 rule change as being the big chance for Renault to make that step up to the top teams? CA: Yes, but we can’t completely bank on that, because firstly we don’t know what 2021 is going to be. There’s still a lot of question marks on the exact nature of that change. We don’t know what Formula 1 will look like, who is going to be in, who is not going to be in. There’s lots of movement. We know that Concorde is going to change also, so the commercial agreement is going to change. Will there be a budget cap or not? Will there be a new engine regulation or not? It’s difficult just to base the whole project on that solely. For the time being, we are only gradually making the steps that we need to make. I think that the driver line-up for next year with Nico and Daniel is clear and beyond question, that’s for sure. So now we can focus on the rest. The 2019 engine is already on the dyno as we speak. We are way ahead of our planning in comparison to the previous year, which is good, and I think we have also the facility now in Enstone to develop a competitive car based on the new aero regulations, which is going to be a new change. So yes, 2021 is on the back of my mind, but before 2021 there is 2019 and 2020, which needs to be also other occasions to continue the progression. With your driver line-up as well, the driver market now is very volatile. Is it very comforting knowing you’ve got that all sorted for next year and you can just focus on the car basically? CA: Exactly. I think the driver line-up, as I was mentioning, is as good if not better than any other line-up. I think Nico [Hulkenberg] and Daniel, they have lots of experience, lots of charisma. I’m very glad that we are clear and we are set up. We can focus on the rest. Was it ever a consideration to bring Fernando Alonso back to the team? Renault had a close link in the past - was he on your radar? CA: Frankly, despite the fact that I have huge respect for Fernando, who is probably one of the best drivers in the world, the answer is no. We could feel that he is at the point in his career where he wants a car that is immediately capable of going in for wins. That’s what he’s expecting, or there is going to be more frustration. And we are not in that position. We need to have drivers who can understand the project, who can buy into a support the project on a long-term basis. And I don’t think this is what Fernando was looking for. So the short answer is no. Do you think there were any concerns for Daniel over the Red Bull-Honda project going into next year? CA: I think there must be an element of that. If he was convinced that Red Bull would be in a position to fight for championships next year, I don’t think he would have stepped away, because Red Bull’s position was very clear, that they wanted to retain him. There is no ambiguity. There is a very strong communication strategy coming out from Red Bull, but I think Daniel is experienced enough to see that it is a communication strategy. Looking ahead to 2021 as well, are you needing to know ASAP what they’re going to be doing with the regulations? Time is ticking and we keep hearing it will be in a few weeks, and there’s still no answers. CA: No, but having said that, I understand why it’s taking time. I think they are trying to do something that has never been done in Formula 1, trying to change engine regulations, chassis regulations, a new set of financial regulations and Concorde Agreement all at the same time - it’s never been done in Formula 1. I think the real question is whether it is realistic that we will be able to address such a large scope of changes at the same time for 2021. My belief is that maybe we should be a bit more humble and pragmatic and address what’s the priority. I think the priority, in particular, is on what would provide a better show, and a better show will come from closer racing. For instance, I don’t think there is any emergency on the engine side. I think the emergency is coming from the financial side, it’s coming maybe on the chassis side. That’s why it will have regulations that will allow better overtaking. And I would focus on that in the short term. There is always time then to look at the rest. But I would focus on those aspects in particular. It would be worth delaying the engine regulations for another couple of years to make sure you get them 100 percent right? CA: Again, I think there is a larger risk to try and embrace much and achieve nothing, rather than focusing on what needs to be changed in priority. I don’t think that changing the engine is the priority. I’m not saying that we should not do anything regarding the engine. I’m not saying that we have an engine that we need to keep for the next 10 to 20 years. I think it should also be evolutionary. But we should talk about evolution rather than revolution on the engine side.